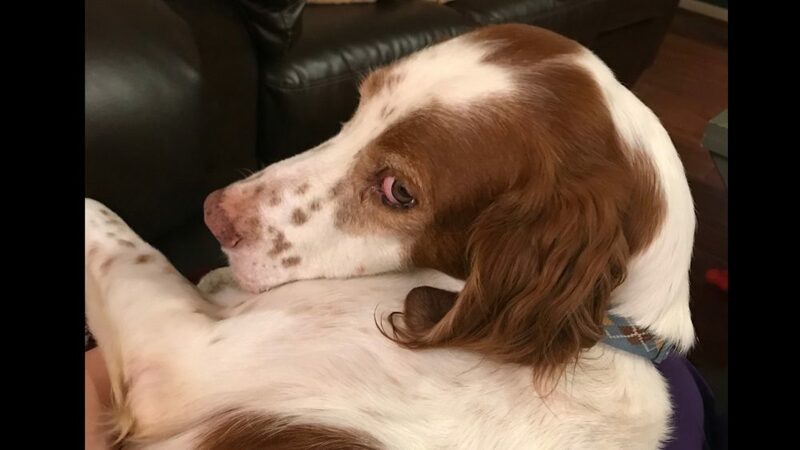 Percy is a six-year-old Brittany whose has been on a “roller coaster” these past few months. His mom died in June and he was put into boarding where he stayed for three months before coming to BRIT. BRIT found him the perfect foster family who quickly fell in love with him. 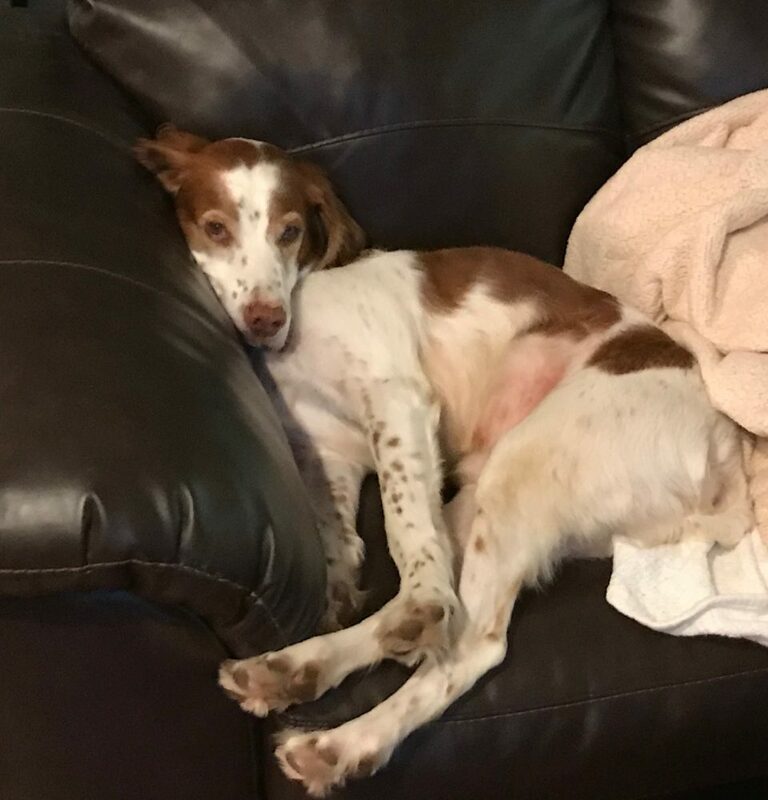 They noticed some very un-Brittany behaviors including: extreme lethargy, excessive thirst and urination, increased hunger, so they took Percy to their vet for testing. 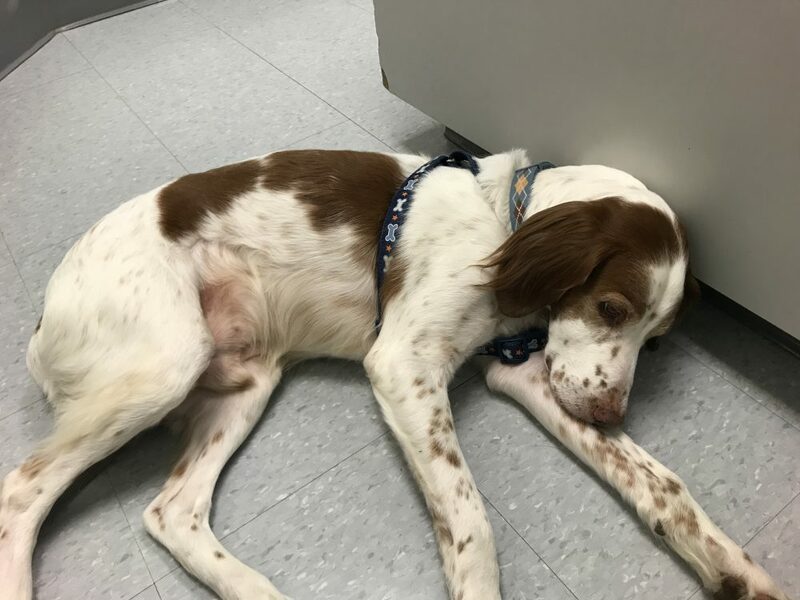 He was diagnosed with Cushing’s Disease – a common endocrine disorder that affects dogs (aka hyperadrenocorticism) caused by a benign (non-spreading) pituitary tumor. There is no cure, BUT Cushing’s Disease can be managed with ongoing testing and medications. Other Brittanys with this disease have lived long and happy lives…if they are lucky enough to be in a family who can afford the treatment. 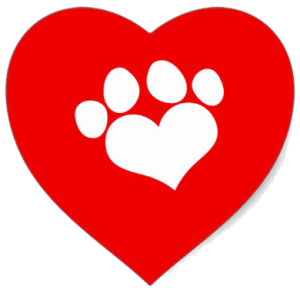 Our young BRIT Foster Family would very much like to keep Percy and help him manage this life-long condition but the ongoing expense of monthly testing (for at least the next six-months) and the daily medication is more than they can afford at this time. 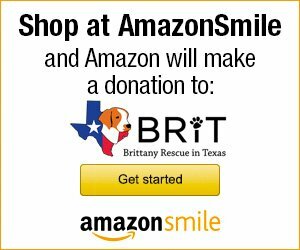 BRIT is committed to supporting Percy and his Foster Family by paying his medical expenses especially through this first year of diagnosis and treatments. As you know, emergency medical expenses like this are not covered by our adoption fees. In times like this we turn to other Brittany lovers like yourself for assistance. Please consider donating to Percy’s fund so he can have the best quality of life possible. You can also help Percy by sharing this story with other animal lovers with big hearts like yours. Percy had his 2 week follow up yesterday after starting the medication for Cushing’s disease. His lab values looked good and the vet would like to keep him on his current dosage for the next three months. He continues to wear a diaper at night and the bladder incontinence has not improved. They are ruling out other diagnoses before starting him on medication for bladder incontinence. He is doing well so far. He loves playing with his foster sister. He continues to love to eat because of symptoms with Cushing’s disease. His foster parents are closely monitoring his weight gain to protect him from obesity, which can be common with his disease. Percy continues to be a sweet loving boy. Percy and his foster family are so thankful for your support in these times. We are hopeful that Percy will live a long happy life. Percy had a severe attack of Pancreatitis this week…on top of dealing with his Cushing’s Disease. He was rushed to the emergency vet where he stayed several days for around the clock observation. As you can see from his intake photo at the emergency vet hospital he was in A LOT of Pain.